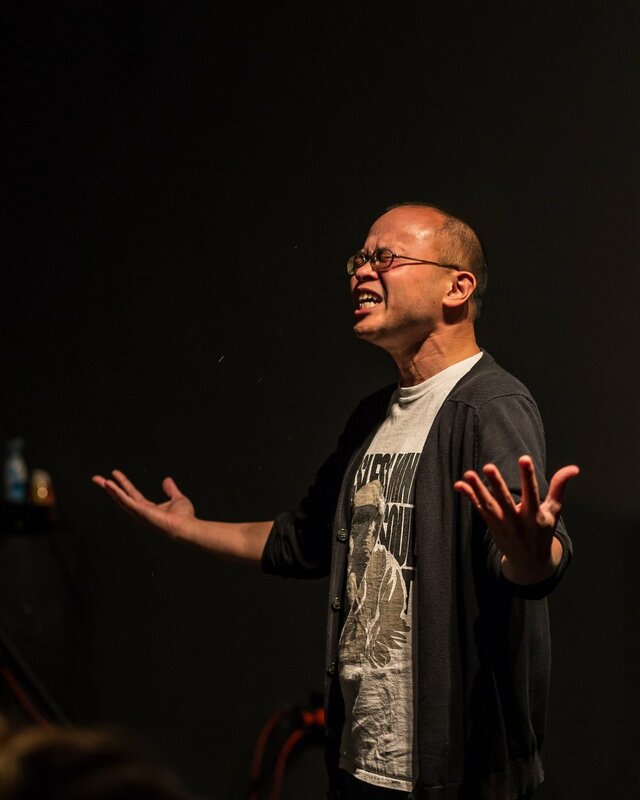 What is Glassless Minds Open Mic Night? 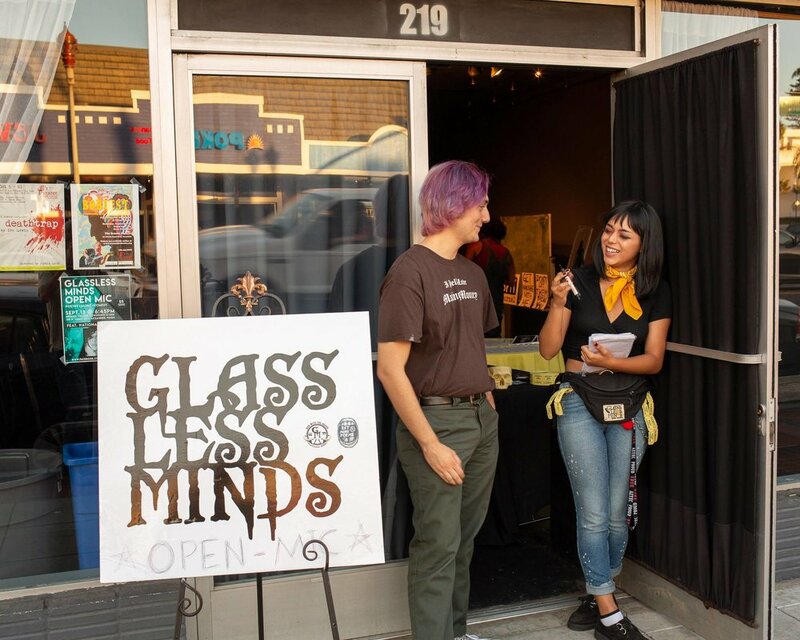 Glassless Minds has held a community based Open Mic Night twice a month since 2010. 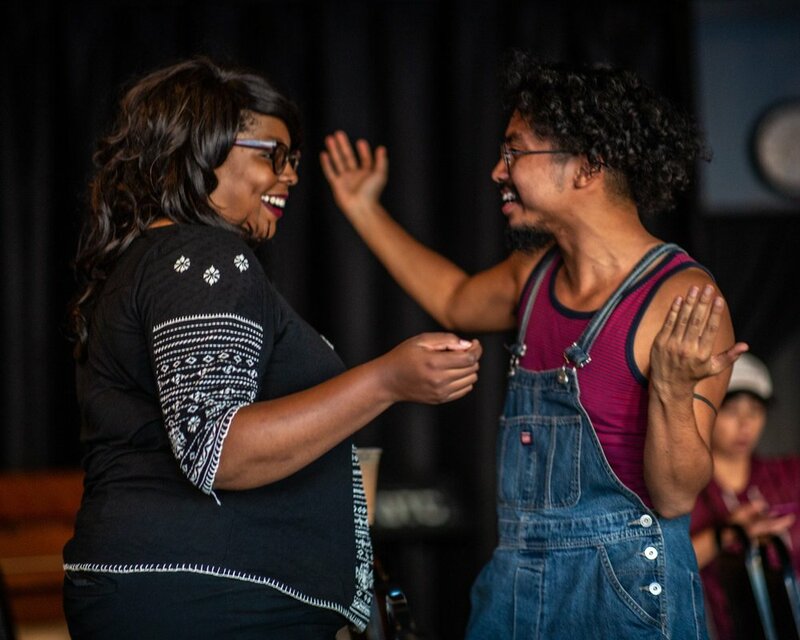 We facilitate a safe space for teenagers and adults to express their minds on stage or just sit back and be inspired by amazing expressive art. Glassless Open Mic night consists of a host, the audience, a DJ, the open mic performers and a featured visual artist. Our doors open at 6:45pm, at this time you can sign up to be a performer on our open mic list. As the open mic begins we will call the names from the list in random order to come and rock our stage for 2 songs/poems OR 5 minutes (which ever comes first). Each event we showcase a nationally recognized poet, local musician, or a comedian to be our feature performer for a 20 minute set. We also may have a visual artist displaying art, creating live art or speaking about their craft or all of the above! Anyone! We have had everything from poets to magicians to dancers to comedians to musicians come and light up our stage. We are a very welcoming community that encourages and supports artists and performers from all different crafts and walks of life.